How about we change it up yet again? 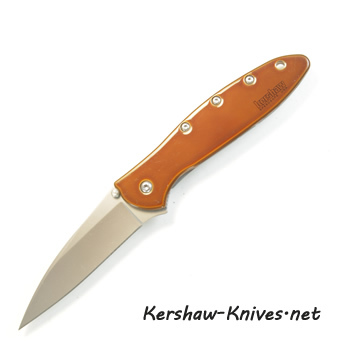 Up for your consideration here is a modified version of the Kershaw Leek model 1660. 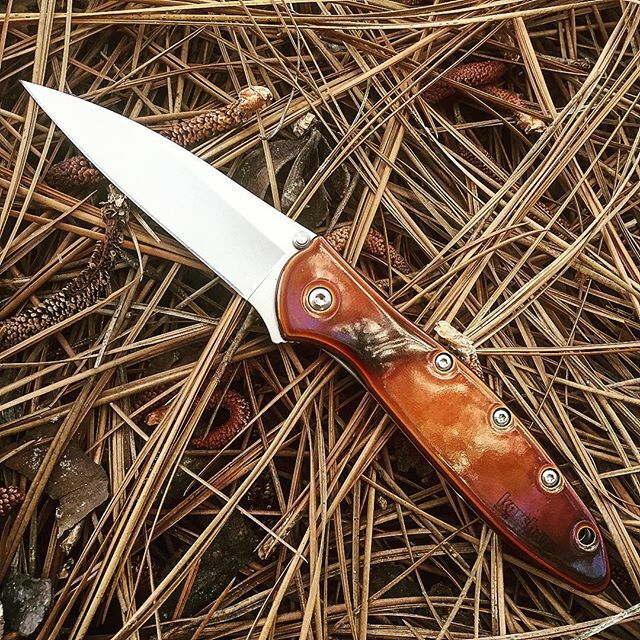 We took the handle off the Kershaw Leek, coated it in this copper color-front side only, and baked it in a high temperature oven. What you see here is the beautiful, lustrious result. When you pull this Kershaw Leek out of your pocket your friends will be asking you where the heck you got it! And if you think this looks good, you ought to see what they look like when you laser engrave your name into that copper coating. Fantastic!